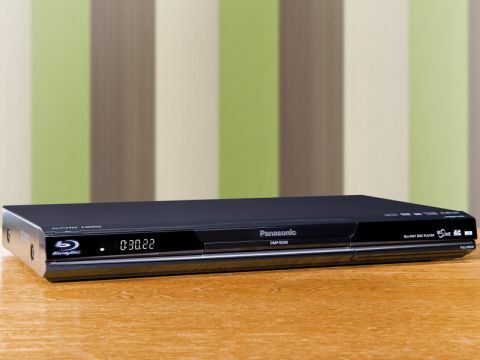 To satisfy those put-off from buying into Blu-ray due to region coding, internet-based disc importer MovieTyme is offering the Panasonic DMP-BD60 as a 'hacked' version which will play Blu-ray and DVD discs from Regions 1, 2 and 3. On test here, is a 240V-powered UK model, guaranteed for a year, which doesn't involve any tricky importing, or extra duty payment – and MovieTyme even promises that any firmware upgrades can be done without affecting the unit's multiregion capabilities. Regional coding is less of an issue with Blu-ray than it was with DVD, but it's still around – and, confusingly, Blu-ray regions aren't the same as DVD regions. More confusing still is the fact that some studios implement it and others don't. Importing a US machine is one solution, but having a hacked UK model is a better one – and this is the first time we've seen this done. And what a good machine to choose to modify. An update on the award-winning BD-35, or a cut-down version of the BD-80, the BD-60 is sleek and slim. Features include a USB port and an SD/SDHC card slot. You'll need the latter to store downloaded updates and web content, as this model has no built-in memory. BD-Live and BonusView are present, as is Panny's Viera Cast system. The UniPhier single-chip LSI in the BD-60 is the same as was found in its predecessors, so it's no surprise that picture quality is equally impressive. Another advantage of integrating so many functions onto one chip is that power consumption is relatively low. Blu-ray pictures are sharp and smooth, colours are vibrant, and black levels are excellent. Upscaling of DVD material to 1080p is also impressive, and digital sound performance is strong too, despite poor analogue audio jitter results, with movie material offering clarity and separation, and music CDs come across with plenty of punch. Region changing is accomplished simply by powering down and pressing the appropriate remote control button (the instructions tell you to remove the disc, but I couldn't make region-changing work until we inserted a disc – go figure). Startup is moderately slow, requiring almost a minute to begin spinning a Javaheavy disc, even when you use Quick Start mode. But then, you can't have Quick Start mode active when you switch regions anyway. The BD60 is yet another solid piece of Blu-ray hardware from Panasonic, and this hacked version, despite a quite fi erce mark-up, could be a worthwhile investment for avid disc importers.